We're at that point in the year where we see more than our fair share of festive jumpers, and German Christmas markets spring up in city centres across the UK. That aside, It may be no surprise to you that our favourite part of this year is the good old Christmas party, whether we're helping make one happen or simply enjoying somebody else's hard work. For those of you looking to throw one this year, we're certain that we can help you with a wide variety of packages to suit all needs. 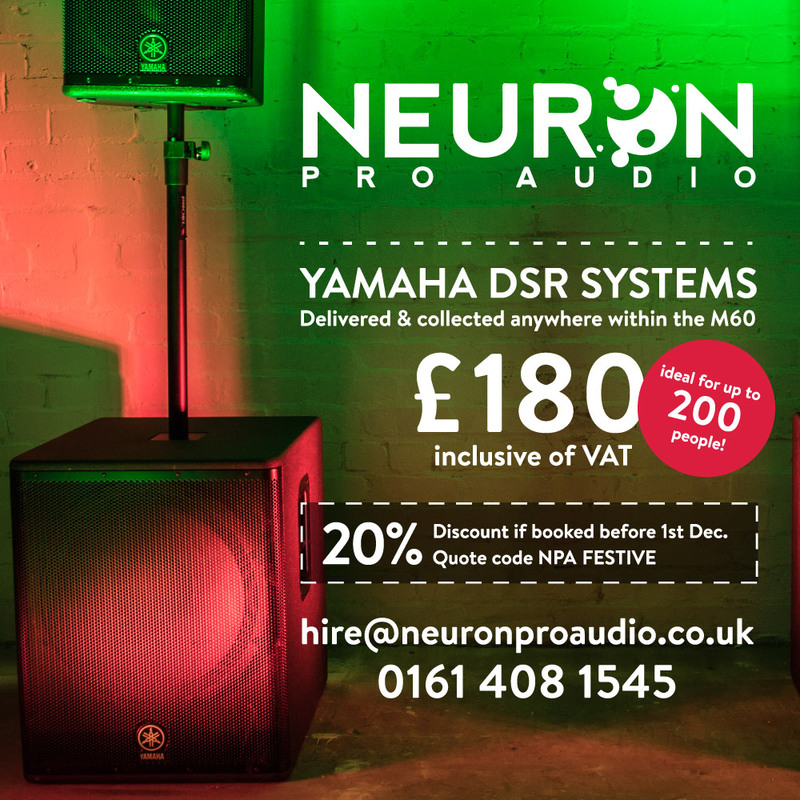 Our Yamaha active packages are perfect for up 200 people, simple to setup on your own, compatible with a wide number of sources and can easily fit into a hatchback car. 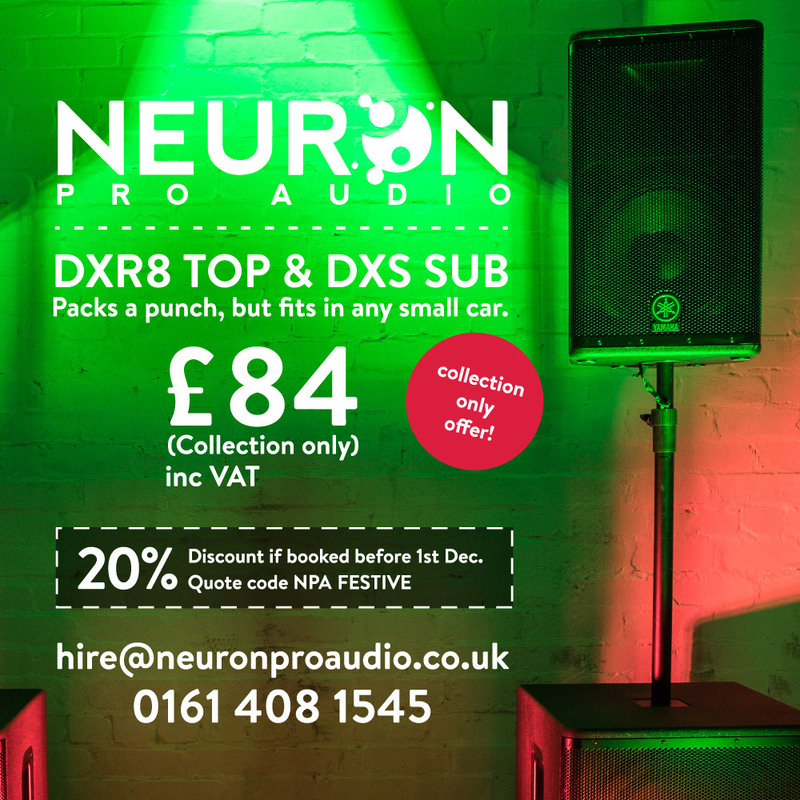 Alternatively, we can deliver and collect these for £25+VAT each way inside the M60. Please note that the packages shown below are illustrative of what we can provide, some state they include delivery and collection, some do not. 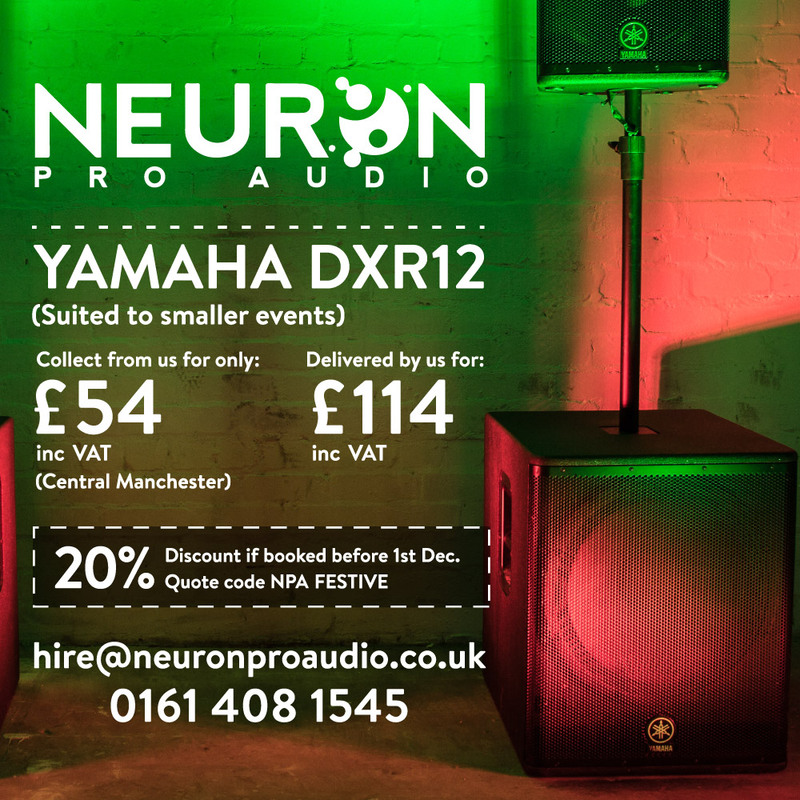 Don't forget, you can receive 20% off Yamaha active hires during December if you book by 1st December. Just quote the code 'NPA FESTIVE'. 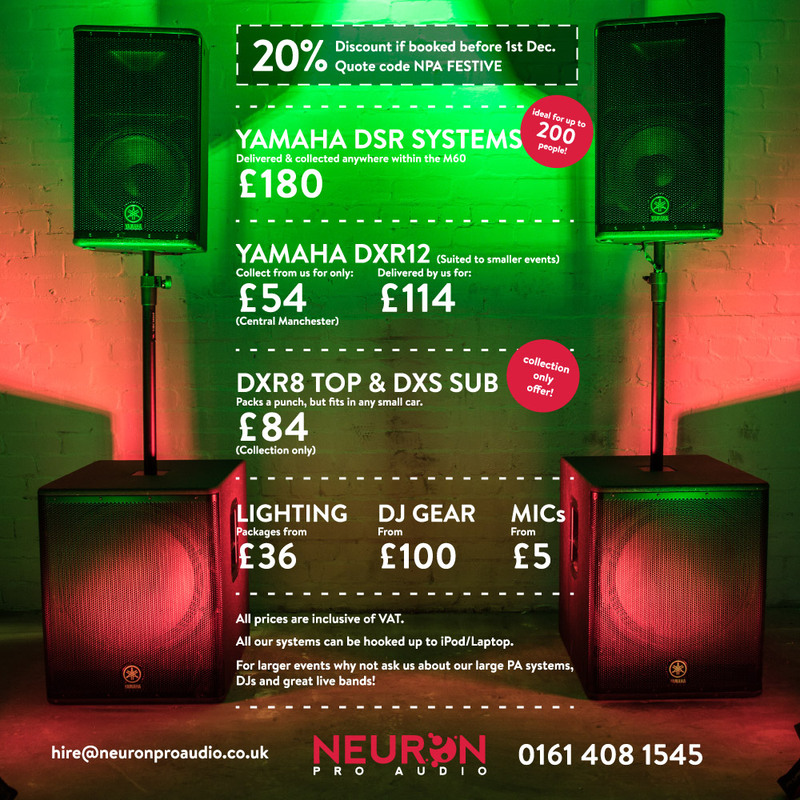 If you're on the look out for something larger, not to worry, we've got your covered with a wide range of sound, lighting and staging. So feel free to contact our friendly team today and they will be more than happy to help.